Upgrades are rolled out if we find an improvement to a circuit design which brings about better performance from a product. Upgrades come about when during the development of other products we may find better circuit techniques. If those techniques will bring about an improvement to an existing product too, we feel obliged to offer it as an upgrade. We don't do upgrades as a way of creating more sales. We remove VAT on non-UK/EU purchases, but on delivery local taxes may apply! 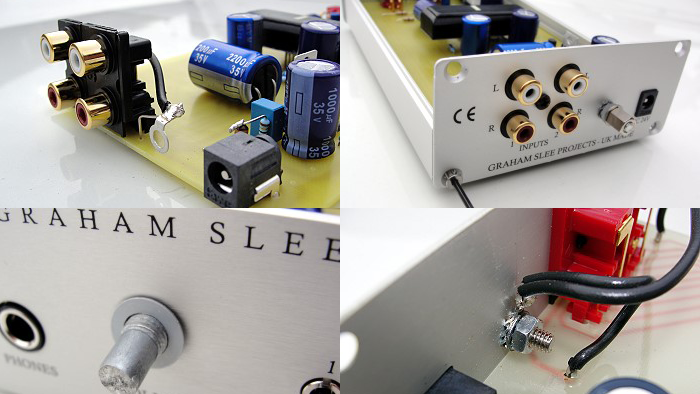 This upgrade service started out with the Solo headphone amplifier with the development of our "ultra-linear" technique. Our customers asked us if we could upgrade existing Solo headphone amplifiers to bring them up to "ultra-linear" specification without having to buy new. Right first time is an excellent motto, and none of our products are launched until we're sure the design is right and they perform reliably to the highest standards. We even send out prototypes for critical listening to people who know music for second opinions. The reason to upgrade comes about due to research in new products where sometimes an improved technique can also be used to good effect in an existing product. We can find these changes make an appreciable improvement to how a product sounds (in our opinion) and when it does we mark the improvement with a model variant. That is what caused the launch of the Solo Ultra-Linear headphone amplifier, and the subsequent Diamond Edition variant. At that point we offer to upgrade existing products to the new electronics. We do not upgrade the casework as that would constitute supplying a new product. If a customer wants everything upgraded as new the customer should buy new. Rather than having a new page for each upgrade we're listing the available upgrades here in the sidebar. Please use our order form to order the upgrade you require. If after an upgrade you would prefer to revert to your original product we can do so for you, but there will be a standard cost involved of £50 (GBP) plus return shipping. There is a time limit of 60 days because old stripped-out circuitry is eventually recycled at which point your original parts will have been disposed of. Our upgrade prices are calculated to give the best value for money because we want to please our existing customers. Even so, some outsiders criticise us by comparing our upgrade prices with new equipment prices saying they don't add up. This is because they are unable to see the costs in hand crafting new equipment, the concern we have in producing products to the highest quality and the cost of the parts we reject for recycling in achieving that level of quality. We refuse to increase our upgrade prices to make everything match!